Quickly toss together the ingredients for Cashew Curry, place it in the solar cooker, point the cooker to the midday sun, and head to work. You ll come home to a ready-to-eat hot meal. 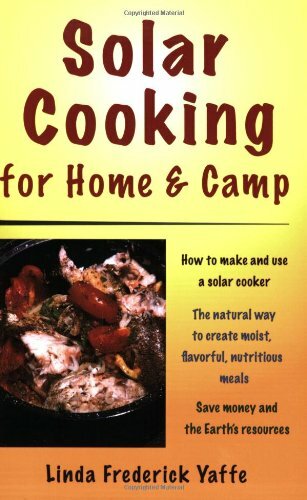 Solar cooking is a simple and easy way to prepare a meal without heating up the kitchen, simply by using the sun s heat. Perfect for dishes requiring delicate cooking like Cheese Strata and Solar Baked Custard, and fish cooks up moist. Eliminate parboiling and marinating—it s done all in one step.